Superyachts are a fascinating part of the maritime industry. Glamorous, expensive and in some cases huge. For many surveyors they are seen as a potential future source of income extending their survey practices whether in Yachts and Small Craft or Commercial Shipping into this market. This course is aimed at given the prospective surveyor the background information they will need so that he or she can enter the market properly prepared to face the specific challenges that superyachts provide. The course consists of 12 modules. All students are required to successfully complete and pass the module assignments. Diploma students will also be required to sit and pass a final examination. WHO’S THE COURSE SUITABLE FOR? The Diplomna in Superyacht Surveying is suitable for prospective surveyors, giving them the background information they will need so that he or she can enter the market properly prepared to face the specific challenges that superyachts provide. Managing Director at Maritime Services International. On Passing the Diploma you will receive this icon – please use on your business cards, LinkedIn profiles and websites! I found the Diploma in Superyacht Operations invaluable in consolidating and extending my knowledge as a Yacht Manager. The course was well run with excellent reference material for all 12 modules. The modules covered every aspect of operations that one could expect to need in detail, and they provided information on where to source further information. The course deepened and broadened my knowledge and understanding of every aspect of the industry and it has provided some useful contacts. I would recommend this course whole-heartedly to anyone seeking to enhance their effectiveness and credibility in the industry, or equally to anyone just interested in learning more about this fast developing industry. The Superyacht Operations course is exceptionally well put together and provides students with the opportunity to learn many aspects of operational management from well respected industry experts. Never before have I had the opportunity to develop my knowledge of so many facets of operational management within the one course. The course is targeted at yacht crew, however, in my opinion this course would be beneficial to any individual who has an interest in the yachting industry. I have been in the yachting industry since 2001 and have always found it exciting and interesting. As I was lucky enough to work my way up to purser, I enquired a few years ago about a course that would assist me in learning the general management and operational side of yachting. Eventually I came across this one a couple of years later and wished I could have done it earlier, as it is a very good insight into all the areas of operation. I would recommend this course both to new joiners to the industry and people who have been in it for a while as there is a lot that can be learnt from this course. It covers all areas of operations to a good level and gave me a better understanding into areas I was not so familiar with. Excellent set of modules to commence your knowledge on superyachts and the superyacht industry. Well designed and produced to give you the right information and right amount. I really enjoyed learning more about the industry in which I work and this course will help me progress in my career in yachting. The interior management and catering was the most enjoyable module for me as it is most relevant to my job as Chief Stew. It is very well written and useful for me in the future as a reference book. This course has given me a more general understanding of the entire industry. The course has prepared me for many situations I am likely to come across in the not too distant future on my yacht. As a professional I have found the course very interesting with full technical assistance, the lecturers are well experienced and immediately available. The course is an excellent guideline in developing a marine surveying career. I have spent 9 years serving superyachts in India this course has made me understand certain aspects of which I was not conscious of. I am sure I will be a better agent from now on. The Diploma in Superyacht Operations took me a year to complete and pass with merit. It required considerable commitment to accomplish all the modules and the exam. It was worth it! Despite having worked within the Marine industry for the past ten years, I felt that the course gave me a deeper understanding and insight into the myriad of players and their roles within in this exciting industry. The course provided me with a wealth of well written, concise and perfectly structured modules covering every aspect of being a marine surveyor. I can confirm that the members of the IMarEST Continuing Professional Development (CPD) Working Group were most impressed by the above mentioned course and have recognised the course as contributing to an individual member's professional development requirements. My name is Courtney McDonald and I have successfully completed the marine surveying diploma. The modules were well prepared and cover all the major areas of study. I was also impressed by the timely response you receive from the management office. 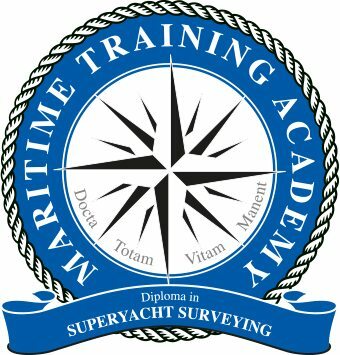 I therefore recommend this course for anybody interested in pursuing a career in Ship Surveying. 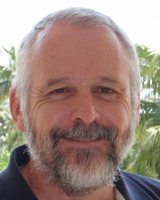 As a serving Master Mariner, employed by a large yacht management company since 2004 as an ISM / ISPS Co-ordinator, I embarked upon the Diploma in Superyacht Operations to gain a more in depth understanding of the large yacht industry. The course content was well thought out and spread across the spectrum of understanding required of senior yacht crew. Its aim of supplementing the professional qualification of officers aspiring to command was met and exceeded. I found the split between distance learning and a final exam gave the course a credibility lacking in some others. Although the three hour exam is open book, it should not be mistaken as a gift and certainly tested the understanding of the previously completed modules. I would have no hesitation in recommending the course to others, for both enhancing existing knowledge and the sense of achievement gained. It was a very interesting and unique course. It showed me the counterpart of the routine teamwork between the pilot and ship master. As Captain it helps me to understand much better the pilot job, it changed my pre conceived ideas and improved my relationship with pilots whilst we are working together. I am very satisfied with the course; it satisfied my expectations and will surely contribute a lot to my professional growth. I enjoyed the course, learned a lot of new things and I am happy that I passed the exam. The support team have been extremely helpful. Throughout the course my questions have been answered immediately. All modules have been very informative. Additional literature recommendations would be very helpful. As I am planning to get involved in some shore based yachting business, this course helped me in a way that it gave me an insight into subjects which are less covered in offshore maritime training. I gained valuable knowledge within months. I probably could learn all that working offshore as well, but it would take me ten times longer. The biggest benefit is that, due to the gained knowledge, I simply feel more professional. I am more aware of the interrelations between all involved parties, offshore and onshore. This course brought me one more step ahead and I hope my new skills enable me to make a positive influence on the yachting environment. The flexibility of the course ensured I was able to complete my assignments and understand the subject clearly. I learned a lot about shipbuilding and ship repair even though I have docked more than eighty vessels. Undertaking an MTA course shows commitment to self-development which all good business employers look for in potential employees. Achieving an MTA Diploma makes you stand out from the crowd and builds on your own personal knowledge. This course gives an excellent overview of the industry, some additional research might be necessary to complete the assignments. I would consider myself now being able to work as a builder, but definitely as a Chief Stewardess or Purser, but maybe that is because I already have some experience in this field. All in all very helpful! I definitely think the course helped and it really prepares you for being a purser as it provides a good grounding in many of the areas that as a stewardess you don't experience i.e: ISM. I enjoyed nearly all the modules and it has prepared me for much of the admin and issues I deal with now. Some modules, especially, the engineering one were a bit over my head but that is to be expected! I do not think I would have been able to take the step from stewardess to purser without doing the course and my captain is keen I do the exam. Very satisfied with the course content. The support staff are very prompt in addressing any grievances. My understanding of the role of the Pilot has been further improved after doing this course. At the first instance it appears to be simple. Anyone who goes beyond this point and takes it seriously will realize the course is very engaging and entertaining. Several years of industry experience with world renowned companies gives me the insight to realise the course is brilliantly crafted, simple to the point, while contains all relevant information and elements required to distinguish a project of success or failure i.e. complete repair on schedule, within budget and meet required quality. A great learning tool to reiterate what I already knew and opened opportunities to what I can do in the industry. I have found this Diploma in Shipbuilding and Ship Repair to have been very informative, professionally presented and of a high quality. I’m very proud to be associated with the MTA, and to display the MTA logo and qualification with my name. I have docked more than 500 vessels as a Dock Master and learned a lot more about ship repair through the course. The flexibility of the course and knowledge gained is priceless. All the material is very educational. Even as a holder of a Master Mariner’s diploma I found the training really useful and informative. The training is undoubtedly valuable and glorious and gave me more self-confidence for carrying out my duties. It was really just what I wanted! It was a leap upon my knowledge for the yachting industry and now I am trying to figure how to move forward in the most effective way with all these amazing ideas and knowledge were given to me. I am so excited to have found so many wonderful new resources and met so many important people in the industry. I cannot wait to take the time to complete my plan taking my career to the next step! This course is really eye-opening and an enjoyable one. There is practical advice and tips as well as theoretical information. This course has been very interesting. Modules were prepared and arranged in a simple and comprehensive way. I enjoyed all the modules and liked the course very much. The course was amazing and I would recommend to everyone who is interested in shipbuilding and repair, whether person is not familiar or a professional currently in the industry but wanting to improve their career path. Personally it’s helped me get a better grip and understanding of the whole running of a superyacht, there are 12 modules on different subjects – some of which you’ll be a pro at and fly through (i.e. interior management!!) and others you should find pretty interesting, like ISM and ISPS. I think the accounts module is great for those seeking to move into a more pursers role, and the modules on project management address issues important for ALL senior crew (not just the captain and engineer) in yard periods and refits. Quite often the interior crew don’t get the exposure to these important issues, as they have enough of their own stuff to deal with when it comes to keeping the owner/guests happy, so this course would give you a good basic knowledge of lots of different areas upon which you can build. I think it’s a good confidence builder too. A little knowledge can be a powerful thing.